Resellers – Start your own Stream Hosting Company in 5 minutes. Have a group of friends that want to band together and start several radio stations ? With our plans below, you can do just that. Two plans for different purposes. Either have an unlimited amount of listeners or an unlimited amount of bandwidth. Your choice. 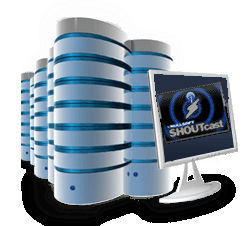 Create either SHOUTcast (version 1 or version 2) or ICEcast (version 2) servers. Each station can have multiple servers. Our Centovacast Control Panel give you the flexibility to create many stations, each with different settings. If you instead want to be your own Stream Host, this is for you. We will give you help in setting up your new stations. Just ask us.